All the applications you've downloaded and installed in your android phone that came from Google Play Store will be saved in your My Apps. Even though the app is already deleted or uninstalled on your phone, this app will still appear on that area. 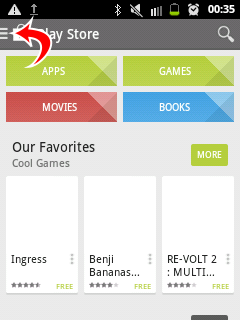 For some instance, you don't want that app to be displayed on the list of your My Apps. All you have to do is to delete it from the list. You can't do this task if you're going to delete it using a browser from a PC or laptop. 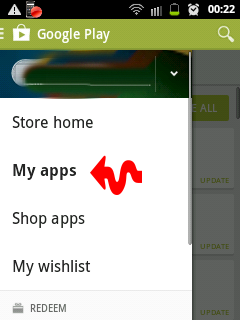 You need to open your My Apps using your android phone. 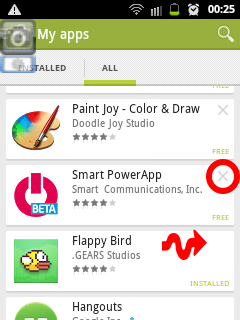 Note: You need to uninstall first the app so you can delete it from the list. How to Uninstall an App? You can see on the image that the first two apps have an X button at their upper right while the third one (which is the Flappy Bird) doesn't have. It only means that the first two are already uninstalled on the phone while the flappy bird is isn't.